But when delivery doesn’t work out—when a package is stolen, lost, or otherwise disappears—well, shoppers lose patience and confidence in the e-commerce infrastructure. UPS is trying to address these pain points with their Access Point program, wherein local businesses serve as waypoints for the last mile of delivery, particularly in urban areas. So, pull out the bubble wrap and pile on the packing tape, it’s time to put in some omnichannel market research to unwrap the latest trends in last-mile delivery, assess how the Access Point program stands to aid Amazon’s competitors, and what this means for local businesses like convenience stores who can become local omnichannel waypoints. Are Stolen Packages a Gift? Stolen packages are both timeless and particularly of our moment. At its core, the phenomenon is nothing more than sticking your hand in the next guy’s pocket, something humans have been doing to each other since before we even had pockets. But with the explosion of e-commerce, packages are particularly ripe for the picking because there are a) more of them and b) less vigilance around their reception. 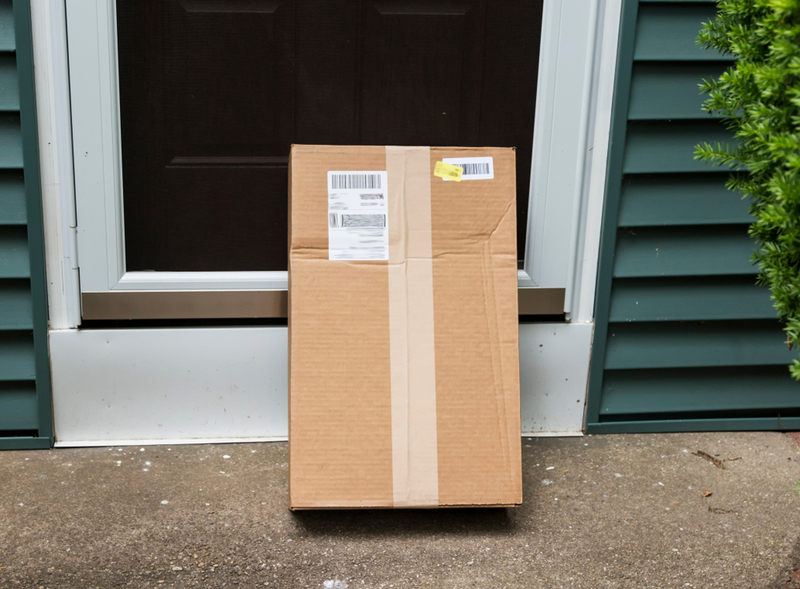 During the holiday rush in 2017, 25.9 million Americans had packages stolen from their front porch or doorstep. It was 23.5 million in 2015 and, though data for 2018 is not yet available, we are gonna go ahead and bet that these numbers have only increased. Some people are going high tech, combatting the problem with hidden cameras and blurry social media posts with hooded perps but this only gets you so far. As the preferred deliverer of e-commerce goods, UPS knew it had to address this pain point and that’s why, over the last several years, they have rolled out Access Points, meant to not only provide a safe location for delivery but also to avoid the inconvenience of missed deliveries. And, though UPS loves to frame this as a boon for end users (and, as we shall see, Access Point businesses themselves) it is also UPS’s preferred path to delivery. That’s because the last mile of delivery is time consuming and, above all, expensive. They’d love to only have to take packages as far as an Access Point, avoiding porches, lobbies, and guard dogs; they’d also love customer’s consent to do so, particularly if that consent can be framed as a benefit, not a compromise. Here’s how Access Points actually work. 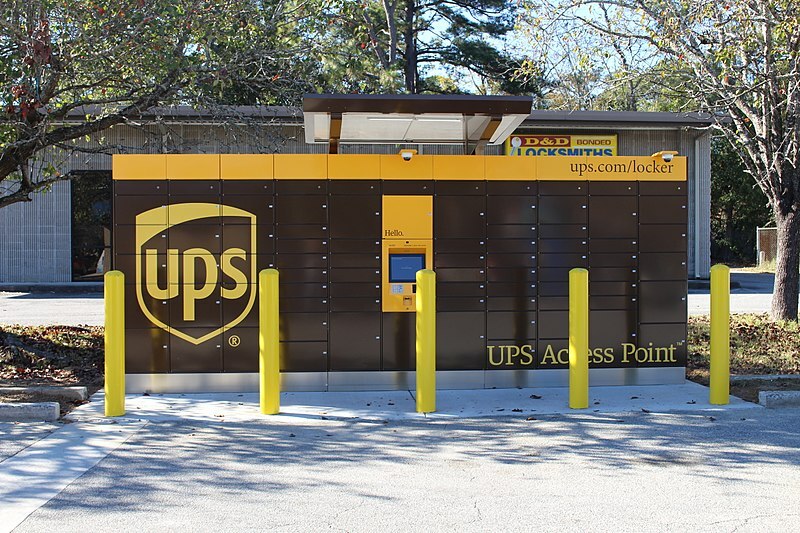 At multiple stages of the purchase and delivery path, UPS offers customers the option to have packages routed to an Access Point in their neighborhood. These locations range from c-stores to drugstores and banks, but the one commonality is that they are all local—UPS isn’t getting in bed with 7-Eleven a-la Amazon, but instead courting liquor stores and the like, places already familiar to customers but not the stock market. Anyway, Access Point’s mandate is simple: accept shipments from drivers and securely store them until customers come pick them up, and accept returns and other parcels for drivers to collect. They become a regular stop on the local driver’s route, an extension of UPS branded locations. And this isn’t just UPS’s path to least resistance or even an effort to boost local businesses like a modern sequel to It’s a Wonderful Life. It’s also about optics. As the pendulum swings back towards distrusting big, bad corporations (among millennials in particular), UPS likely hopes its local roots will prove a refreshing alternative to heavily corporate rivals like Amazon. You can also hear self-congratulating armchair shoppers patting themselves on the back for supporting “independently owned and operated businesses.” Sure, they may be getting packages from Walmart or some other independent business crusher, but at least their delivery choice supports little guys like Tommy. For independent convenience stores, going digital is likely not in the cards; sure, 7-Eleven is all up in it already, but for the average ma and pa store, this is not a realistic expectation. 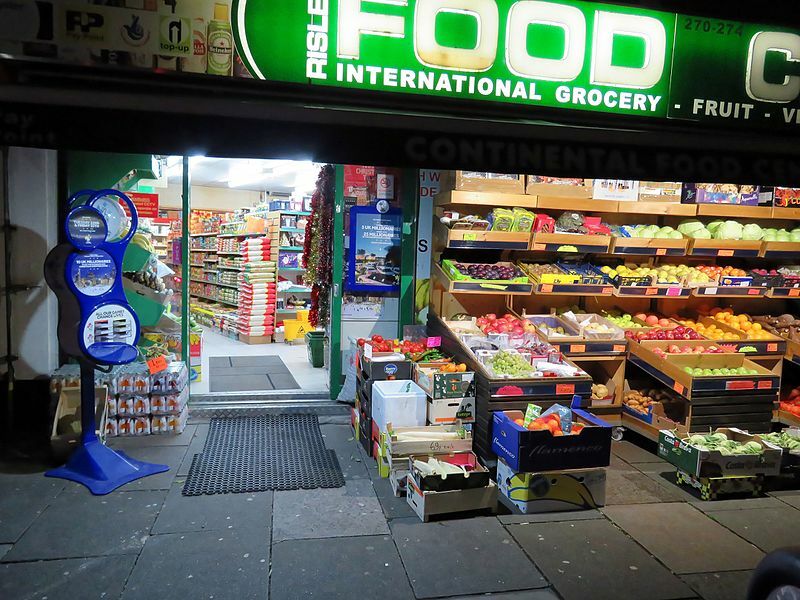 Such stores are increasingly quaint—they have a low-fi feel when compared to the corporate convenience store, one that is charming, sure, but also increasingly archaic. It’s as if they are saying, look, we can send some high-quality shoppers to your location, and who knows, maybe they will grab a tall boy with their package. No, we can’t drag you into the digital era, but we can help you ride its wake. It’s free to apply, and, heck, they even throw in the necessary training, support, and technology. Access to an Anti-Amazon Locker Room? We hate that every blog we write seems to have some Amazonian subtext but, alas, here we are back at that river. Access Points, of course, are UPS’s version of Amazon Lockers—their solution to the challenges of urban, last-mile delivery. With Access Points, UPS is trying to embed themselves in e-commerce, particularly among Amazon’s rivals (both real and aspiring). Their customer-facing messaging even encourages retailer outreach: “Ask your favorite retailers to include UPS Access Point locations as part of their shipping options,” they implore. UPS has really been pushing Access Point lately, likely figuring that once customers are educated and acclimated, adoption rates will increase and last mile delivery costs will decrease. Because, again, however inconvenient that last mile is for customers, it is way more inconvenient and costly for shippers. UPS would like people to rally at the Access Points, which will provide customers a cleaner shipping experience and significantly decrease UPS overhead. That’s why over the last holiday season, they began to incentivize the program, offering up to $10 in Target gift cards (another nice little shot across Amazon’s bow) and three free months of their UPS My Choice Premium program, which comes with upgraded delivery options. The way UPS sees it, getting customers on board with Access Point is worth the investment. And, when properly educated and incentivized, it does seem that consumers are into the idea. According to (UPS-provided) research, 37% of US shoppers prefer an alternate delivery location (i.e. Access Point) and 30% already utilize one. What’s more, 52% of US shoppers would prefer an alternate location if that location came with extended hours and some kind of “reward” which likely involves discounted or free delivery. Look, it seems like everybody is forming an Amazon busting pact these days; what separates UPS Access Points is its marshaling of independent businesses, upstart and vestigial alike. But how can these local businesses capitalize on their access to otherwise inaccessible shoppers, both in-store during package pickup and, more importantly, thereafter? The same way that Amazon can come to dominate the world and its competitors can resist.